(an animal) of the deer family. 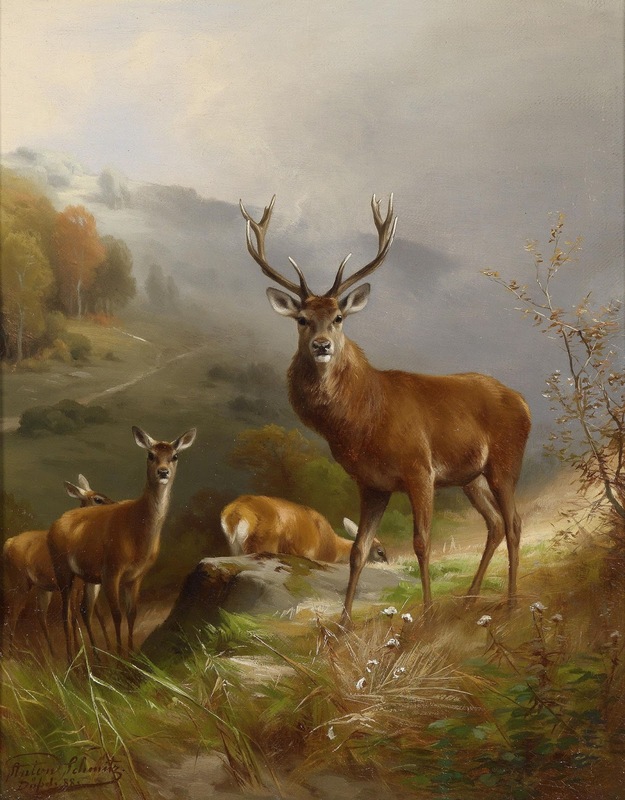 If something is described as cervine, I immediately think of a deer's grace, beauty and timidity, and perhaps the proud stature of an antlered stag, a motif featured so frequently in heraldry. There is, however, so much more to deer - depending on the type, deer are exceptionally hardy animals (the deer family includes moose and reindeer), they can be fearsome fighters when threatened, and they are prolific breeders. And two facts I didn't know about deer before researching them for Lexicolatry - fawns have virtually no smell, rendering them olfactorily invisible to many predators, and antlers are unique to deer. Yes, that's right - antlers are unique to deer. Go on. Try and think of another animal that has them. Do deer or does cervine call to mind any other qualities for you? Do please leave your most fawning comments in the box below. Also, Rudolph, the reindeer who is bullied every December. Why do all deer need to make me sad? And finally, the John Deere sign ( http://www.campbellssmallengine.com/PublicMedia/GetClientMedia/37600 ). The city where I studied was a 6.5-hour bus trip from my hometown. I knew we were getting close when I saw the John Deere sign at one of the businesses in the outskirts. p.s: Sorry for the links, I keep forgetting where I've saved the html thing. I love the fact that growing antlers are covered in stuff called velvet. Also that, because male reindeer tend to lose their antlers in December, Rudolf was probably a girl.